As the tour starts you will be enjoying the royal culture of Rajasthan in the forts and palaces and the ride through the sand of Thar Desert on the backs of camel and elephant would be a fun to do experience. the beauty of Mughal culture in Delhi will be an amazing deal. Visiting the blue and pink city would make you understand the Rajasthani culture better. The colors and heritage of the cities are a perk of them all. Arrival at Delhi airport you will meet our agent and then transfer to hotel, check-in at hotel. 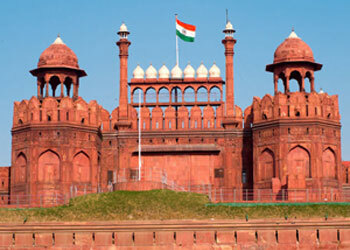 Today we will enjoy Delhi city tour covering places like Jama Masjid, Red Fort, India Gate, Humayun Tomb, Qutub Minar. After breakfast we will take a drive to Jaipur the fabled Pink city, check-in at hotel, sightseeing of Jaipur covering Jantar- Mantar, Hawa-Mahal (palace of wind), City palace. After breakfast we will visit Amer fort & enjoy the elephant ride on the fort, also we will drive to The Jaigarh Fort and Jal Mahal, the Water Palace. Day excursion at your own. Overnight at the booked hotel. After a tasty breakfast we will take a drive to Jodhpur, check-in at hotel fresh n up and visit the Mehrangarh fort. A work of architecture beyond believing levels. Jaswant Thada the Taj Mahal of Mewar. If time allows we will visit local market and enjoy the tastiest “Mirchi Bada” a traditional spicy dish of Jodhpur. in the morning After breakfast we will enjoy city tour of Jaisalmer covering The Golden fort or Sonar Killa, please our eyes with the beauty of the havelis called Patwon ki haveli, Salim singh ki haveli & Nathmal ki haveli. After a healthy breakfast move to see the cursed village “Kuldhara” and while returning visit Sam sand dune. Enjoy camel safari and feast your eyes with cultural treat in the vast sea of sand. You will be transferred to Railway station to connect to your onwards journey. The 5 day trip to Rajasthan ends here. 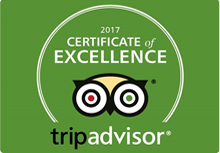 After breakfast in the morning we will take a drive to Bikaner (a place famous for its fooding all over the world) check- in at hotel and get set to visit Junagarh fort, Karni Mata temple, Camel breeding centre (15.00-17.00hrs) . The 9 day tour ends here with joy.